2014 found US firms in London gaining even more ground. Legal Business’ 13th annual Global London survey charts the key players and winning moves as leading firms make their breakthrough. A line of taxis wait patiently along Old Broad Street as White & Case’s partners exit the office one after the other apologising for the delay. In January 2015, the firm ran up a £12,000 waiting charge from Addison Lee because partners failed to come out on time as they were overrun with work, mainly M&A deals. There’s no doubt it has been a dynamic start to the year for many global firms in London. And following a strong 2014, many firms expect this level of activity to continue. ‘We’re not a corporate firm, we’re an investors’ firm.’ That simple statement by one partner stood out more than any other during a recent meeting with Ropes & Gray. The point being made was that the firm – and its rapid progress in the City – had not been built on the back of large corporate or investment banking clients – it was focused on a range of sponsors and funds, in particular in private equity and leveraged finance. The same partner stressed the cultural impact on Ropes of being bred in Boston, a major hub for investors and funds, not banks. As we note in our analysis, ‘The third wave’ as part of our annual Global London report, this approach is driving a new breed of US firms in the City who have proved able to move at unprecedented speed. The second wave of US expansion in London in the late 1990s and early 2000s focused on generalism and targeting corporate and mainstream banking work… and largely ran into a brick wall as such clients remained wedded to their established local advisers. With Akin Gump and Cooley securing multimillion-pound teams, a wave of new entrants to the City are re-writing the playbook for expansion in London. What is driving the new breed? Sitting in the airport lounge at Fort Worth, Texas, flicking through magazines and eating stale sandwiches, 25 maintenance staff waited to board flights to London, Frankfurt and Hong Kong. While they were less than thrilled to be spending their weekends rewiring computers, moving desks and changing security codes for a bunch of lawyers thousands of miles from home, the woman who sent them was jubilant, having just pulled off the deal that would reposition her law firm as a genuine international player. Rising transactional activity has given European firms in the City renewed confidence but playing in London remains a tricky game. 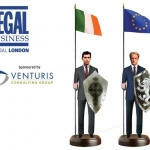 In April 2014, Iberian leader Cuatrecasas Gonçalves Pereira moved into empty London office space rented out by its French ally Gide Loyrette Nouel as part of the development of the firms’ referral alliance established two years previously. Located in London’s financial district at 125 Old Broad Street, Cuatrecasas was the third European law firm to take up space in the building, moving to the 14th floor; the previous year Italian practice Chiomenti had moved in one floor above after leaving its former offices in Mayfair.